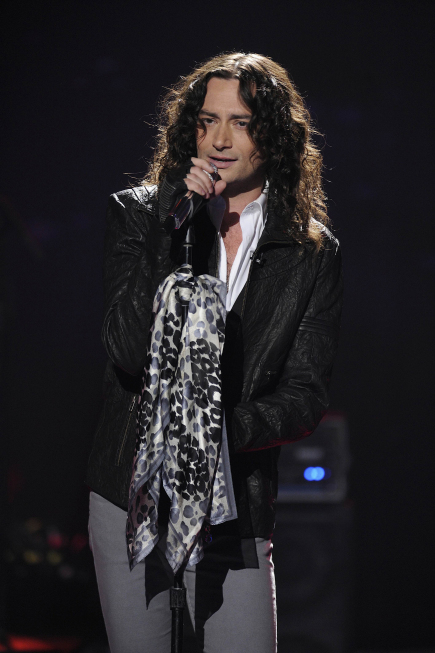 Season 4 contestant Constantine Maroulis returned to sing “Unchained Melody” on American Idol Season 10. Season 3 winner Fantasia Barrino was just one of many Idol alums to return to the stage as a guest performer in Season 10. 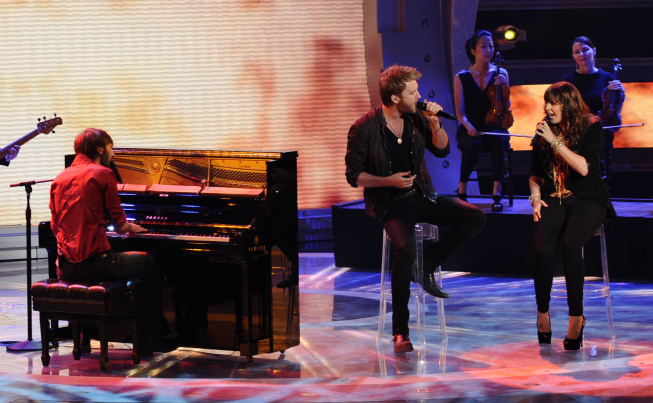 Season 6 winner Jordin Sparks performs her new single “I Am Woman” during the results show of American Idol on May 12, 2011. 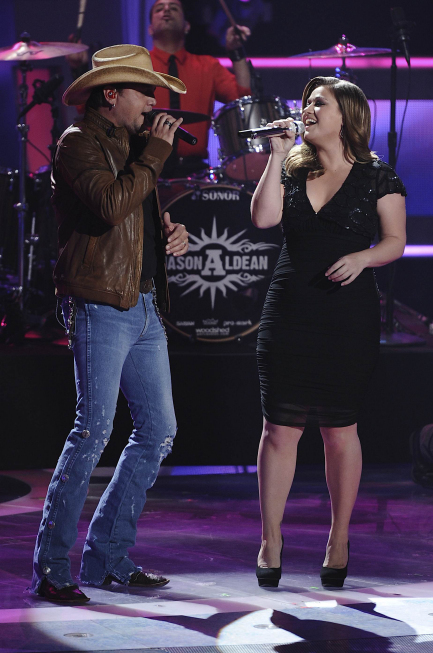 Kelly Clarkson returned to American Idol and performed her No. 1 hit “Don’t You Want to Stay” with country superstar Jason Aldean. The legendary Iggy Pop livened up American Idol Season 10 as a guest performer. Jamie Foxx and Will.i.am hit the American Idol stage to perform “Hot Wings” — their single from the movie Rio. 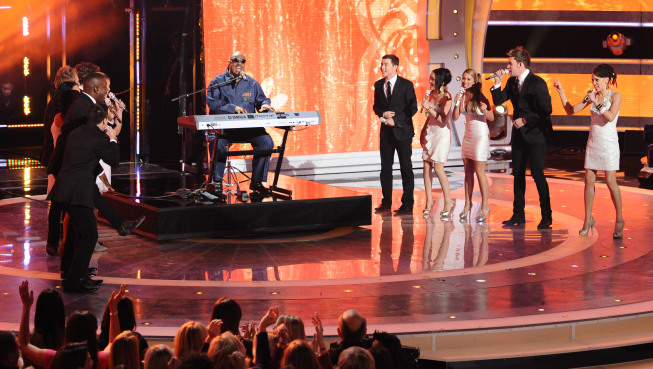 Legend Stevie Wonder hit the stage, singing “Happy Birthday” to Steven Tyler. Rihanna brought her “California King Bed” to American Idol Season 10. Katy Perry was a guest performer on American Idol, singing her hit single “E.T.” with Kanye West. 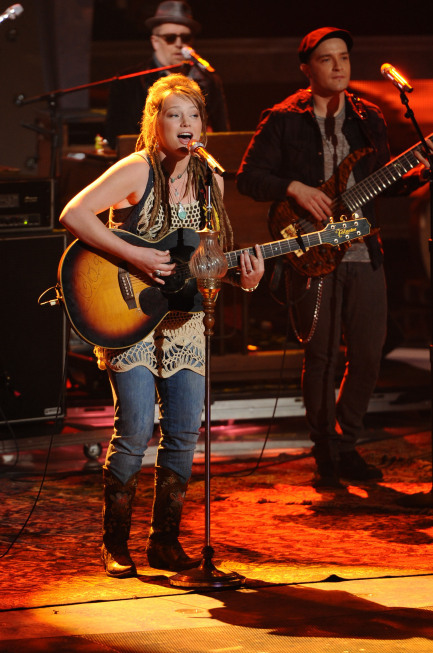 The Black Eyed Peas were just one of the many guest performances on American Idol in Season 10. 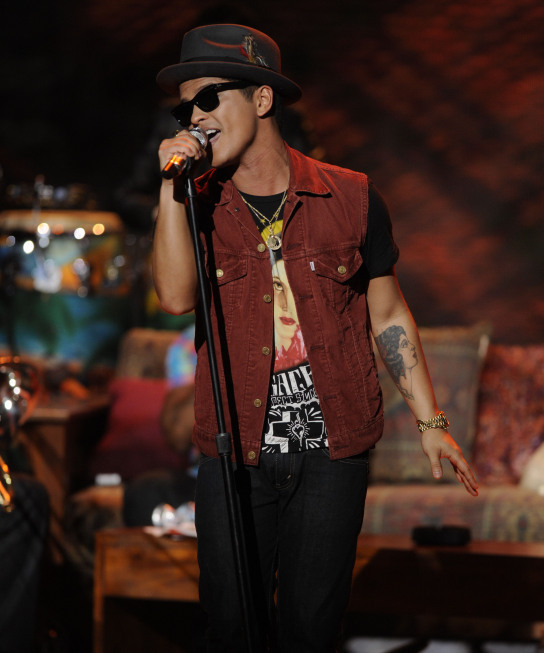 Bruno Mars sang “Lazy Song” live on American Idol in one of the best guest performances of the year. One of the highlights of Season 10 was a visit from Hulk Hogan to one of his biggest fans — James Durbin. Jennifer Lopez wasn’t just a judge in Season 10 of American Idol, she also performed on stage and debuted her music video. 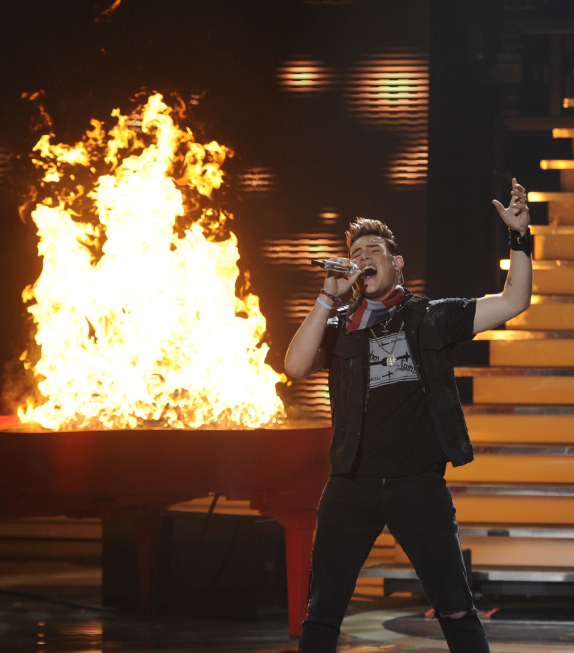 James Durbin brought metal to American Idol and a whole lot more. Durbin’s performances won’t soon be forgotten. 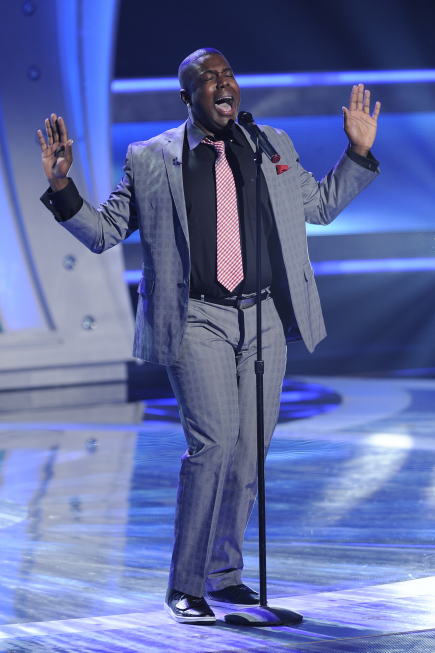 The colorful gospel singer Jacob Lusk didn’t make it the finale, but he made a name for himself in Season 10. 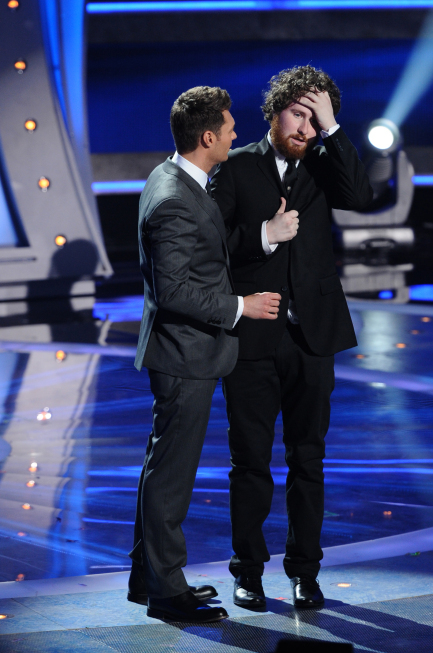 When Casey Abrams was eliminated by the American vote, the judges decided to use their only save of the season to keep him around. One of the highlights of Season 10 of American Idol wasn’t a happy one as seemingly-favorite Pia Toscano was eliminated in ninth place.